Exactly five years ago today, the worst garment factory accident in history occurred. When the five-storey Rana Plaza building collapsed due to structural failure, 1,134 people were killed. A further 2,500 were injured. Over half of the fatalities were women. This disaster was avoidable. The building owners were made aware of cracks in the building the day before. They ordered workers to come into work anyway. Why? To make clothing. 1,134 people lost their lives to make clothes. Does this make you feel as sick as I do? It doesn’t matter how often I read this information it always has the same effect on me. Rana Plaza seems to be the tipping point where many of us realised that the price of fast fashion is just too high. Reading Overdressed opened my eyes to just how unethical the fast fashion industry is. Watching The True Cost consolidated my thoughts in the most heartbreaking way. I spent a lot of last year thinking about my clothes and their origins. 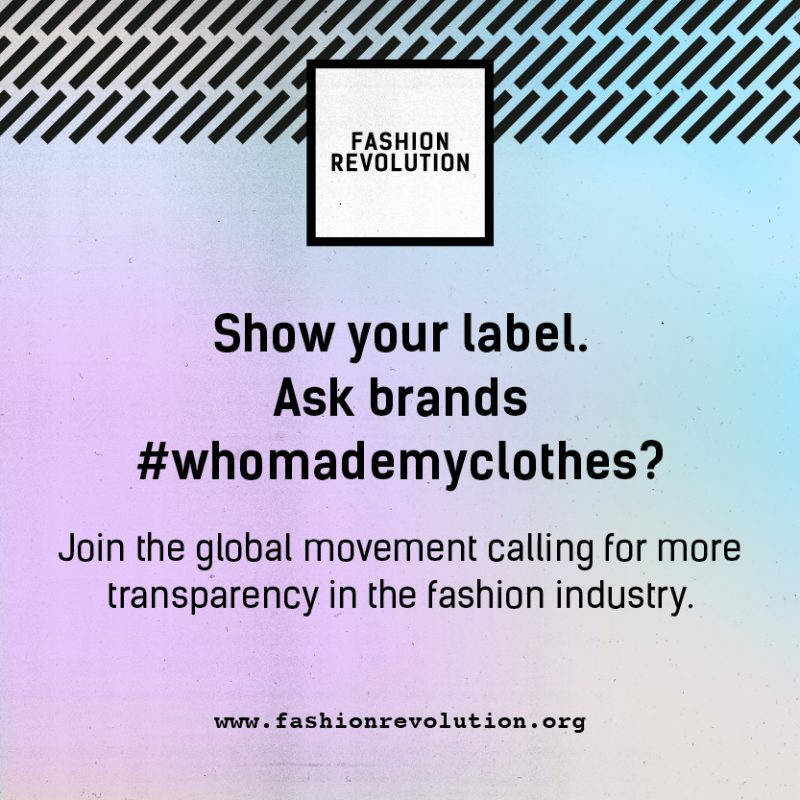 Fashion Revolution was born out of the Rana Plaza disaster, to make sure that nothing like it happens again. The fashion industry has little regard, on the whole, for people or the environment and it needs to change. It’s not just the manufacturing of our garments that is problematic. It’s our attitude towards fashion too. This disposable culture we’ve found ourselves in. Who cares if we wear something once and chuck it away? It was cheap enough, right? Fashion Revolution Week takes place every April to mark the anniversary of Rana Plaza and to honour the lives lost. It encourages all of us to use our voices to encourage change. 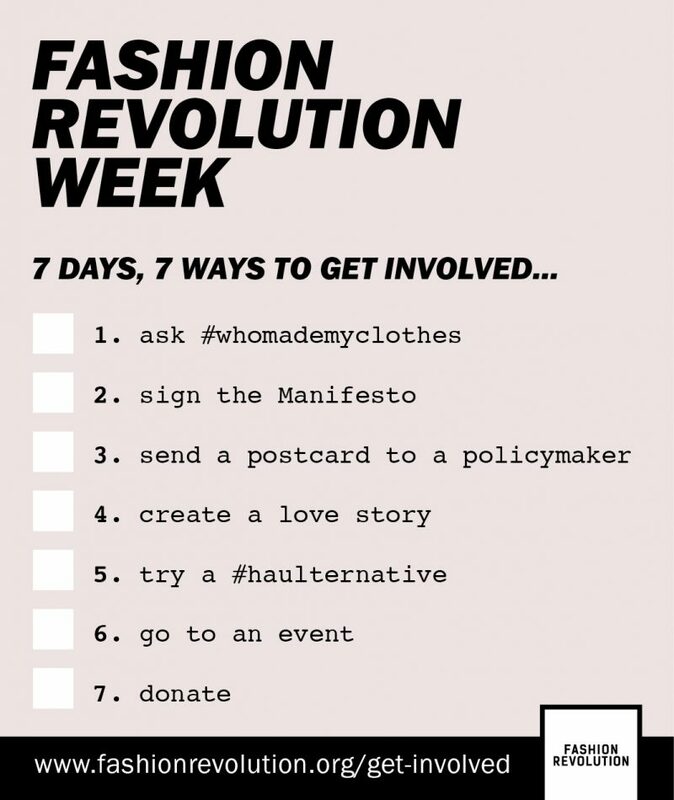 There are ways for all of us to take part in Fashion Revolution Week. 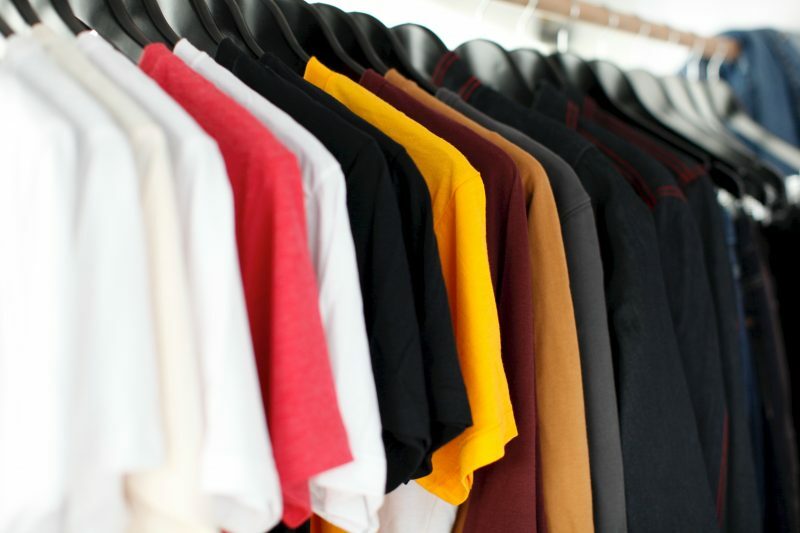 One of the most powerful ways is to use social media to ask brands who made your clothes. I’ve found that some brands (hello Cath Kidston!) will straight up ignore you; I’ve emailed, tweeted and tagged them on Instagram several times before. Some brands will give you an answer, but as vague as possible. It doesn’t matter though, we need to keep making brands aware that we do care about garment workers and that we deserve to know this information. Little by little we can make change. 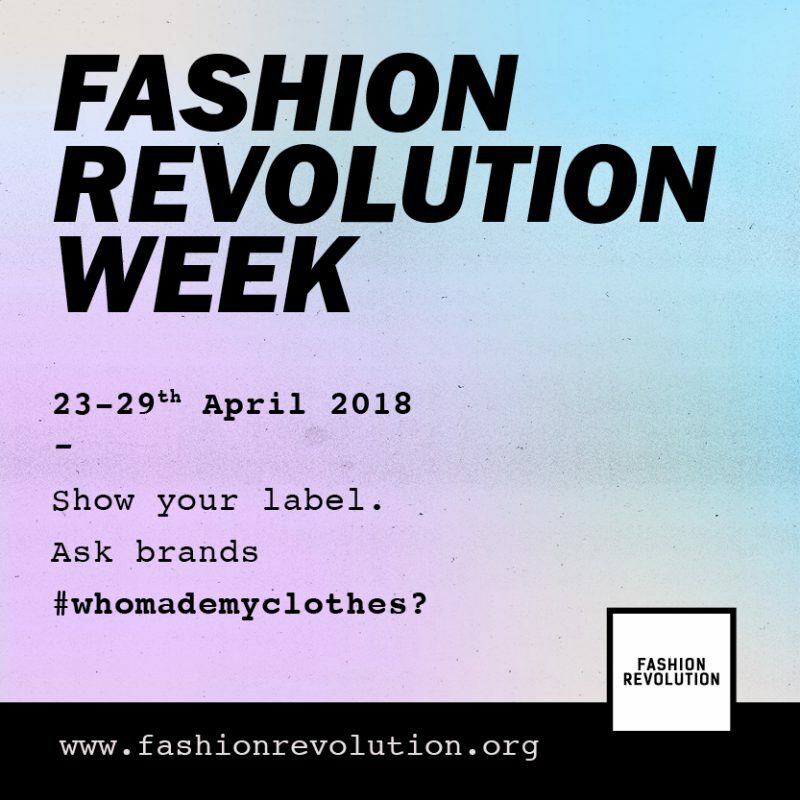 I hope that everyone reading this will get involved in Fashion Revolution Week 2018 and that together we will create positive change. 2018, Fashion Revolution, fast fashion, sustainable sewing, Who made my clothes?